I was delighted to hear from one of our earliest clients from 20 years ago that her son would be getting married. 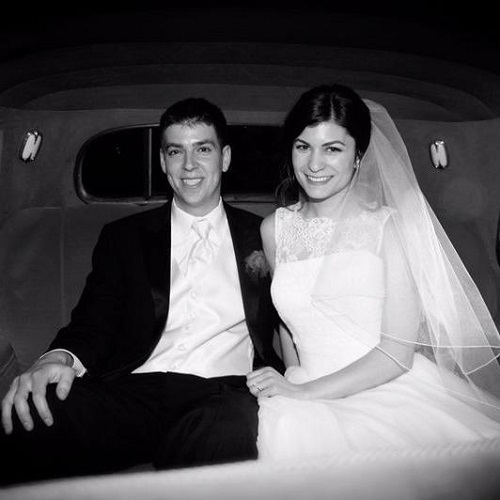 Ben & Kathleen exchanged vows under a chuppah in a beautiful interfaith wedding at St. Pius Catholic Parish before celebrating in style at the Marian Ballroom. The variety of flowers by Teresa Ayers in the ballroom was eye-catching, as was the stunning panoramic view of the downtown skyline. Following excellent dinner service by MBP Catering and some hijinks in a Picture Yourself Photo Booth, I joined the couple along with Carrie & Richie of Claycomb Photography for some great rooftop shots. 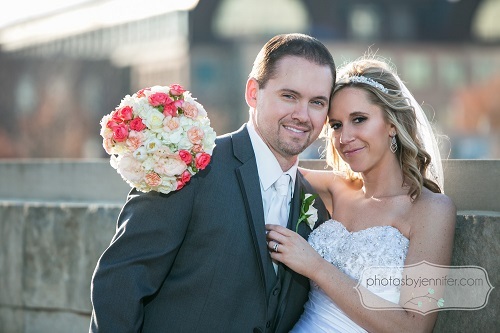 Hollace & Ryan enjoyed a beautiful wedding day with a ceremony and reception at the JW Marriott. The ceremony included a sweet sand ceremony as the couple and Ryan’s two daughters symbolized the blending of their families. After some photo time with Jennifer Driscoll, Wedding Entertainment Director Jim Cerone (who along with the JW Marriott referred Hollace & Ryan to us) presided over a fun reception that included lovely decor by JP Parker Flowers, delicious dessert by Classic Cakes, and lots of smiles with Indy Photo Booths.